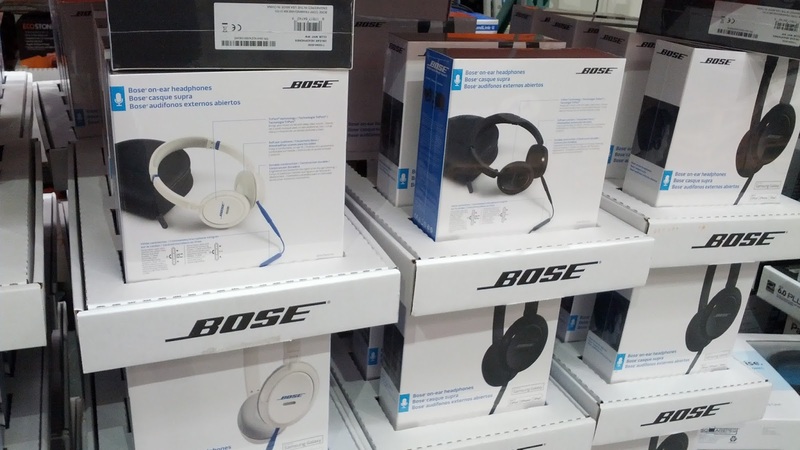 If you're a professional DJ or just a person who enjoys listening to music, Costco now has these Bose Mobile On-Ear headphones. These headphones will bring out the "ooontz, ooontz, ooontz" to whatever it is you're listening to. The padding that goes around your ear makes wearing them comfortable without feeling as if they're squeezing your head and it even comes with a microphone which is an added bonus to the beats you'll be listening to. Because they're mobile, you'll be able to listen to music from any device (computer, iPhone, iPod, etc). If you're looking for noise canceling headphones, then you might want to check out the noise canceling headphones from Sony. If you prefer the smaller and more portable earbud type headphones, there's also the Bose in-ear headphones also found at Costco. 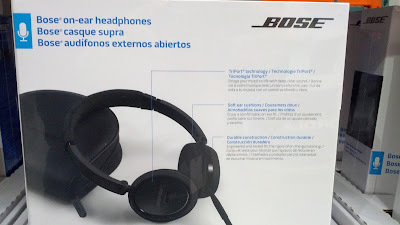 You can use these on-ear headphones from Bose to listen to music from any device. The Bose Mobile On-Ear Headphones will make listening to music that much more better. 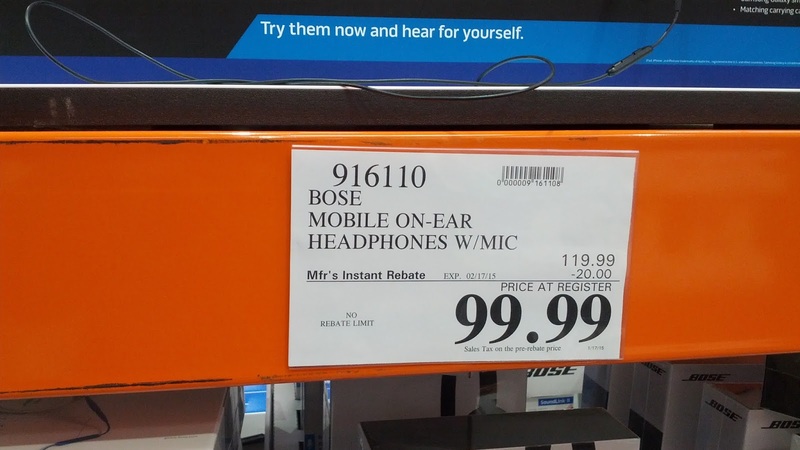 Take advantage of the limited time rebate for these Bose Mobile Headphones from Costco. Bose headphones put you in touch with your music like nothing else. TriPort Technology: Brings your music to life with deep, clear sound. Soft Ear Cusions: Enjoy a comfortable on-ear fit.